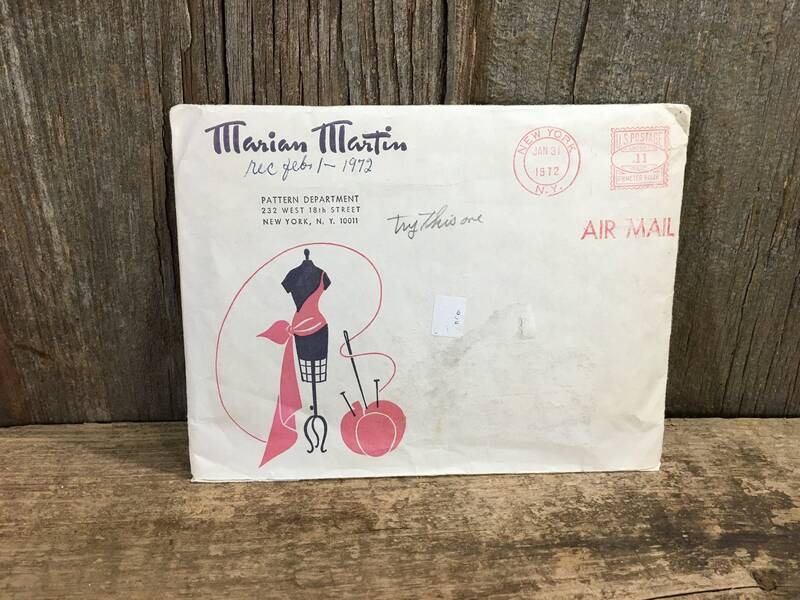 This is a great vintage Marian Martin mail order sewing pattern From the 1970’s. 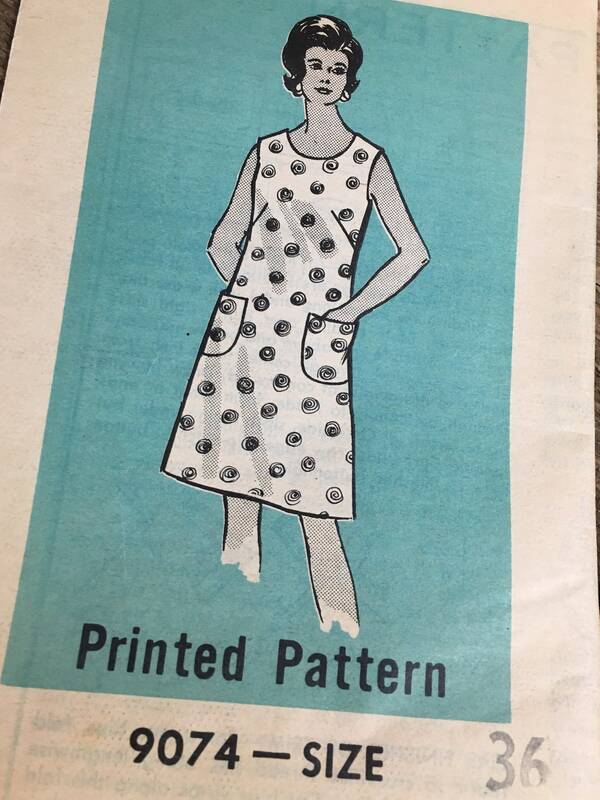 This shift dress is super. Bust size 36. 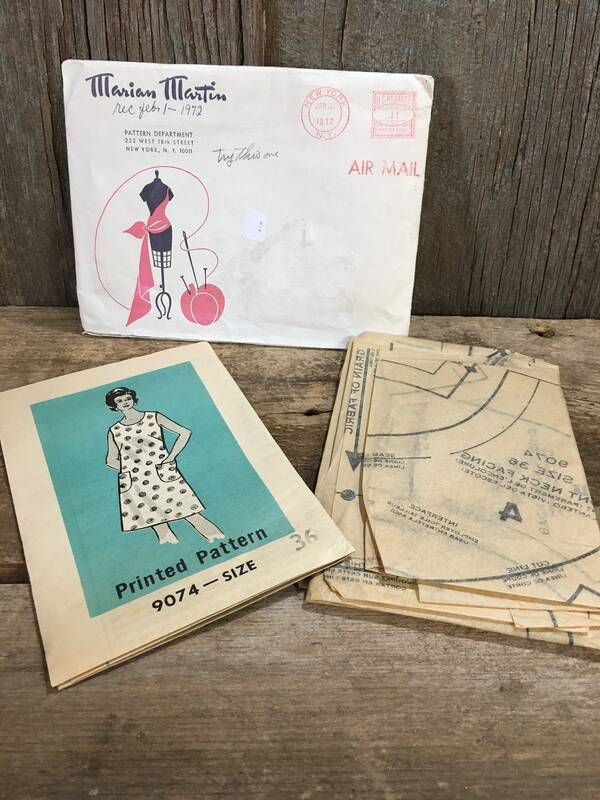 All pieces and instructions are inside the tattered envelope. Super great vintage piece!! 2.50 US shipping. Message me for more detailed pictures if you are unsure of something and/or for International Shipping. Please remember everything on Nothing’s New Here has been previously owned and/or up-cycled into something else. So, in saying that no item is perfect but that makes it more beautiful! Packing material is all recycled, so you are not getting a pretty looking package when it arrives, but it will be wrapped with lots of care. Paypal & Direct Checkout.Once payment is received and cleared, items will be shipped within 3-5 business days, unless otherwise stated. If actual shipping is more than 2.00 less than quoted I will refund the difference. If interested in a larger, heavier item please message me, there might be a way to save on shipping. All items are insured for shipping damage and/or loss. If you are not satisfied with your purchase for any reason, please do not hesitate to contact me. I will be more than happy to work with you. Please remember items are from up-cycled materials and or loved for many years, they are all used and being re-purposed. No item is perfection but should be perfect in your eyes. If you would like to have extra photos taken I will gladly do that. Please ask. I will consider any reasonable offers.